That's kind of a weird one. Most rifle scabbards are carried lower, on an angle or the horizontal, or hanging up/down more toward the withers. 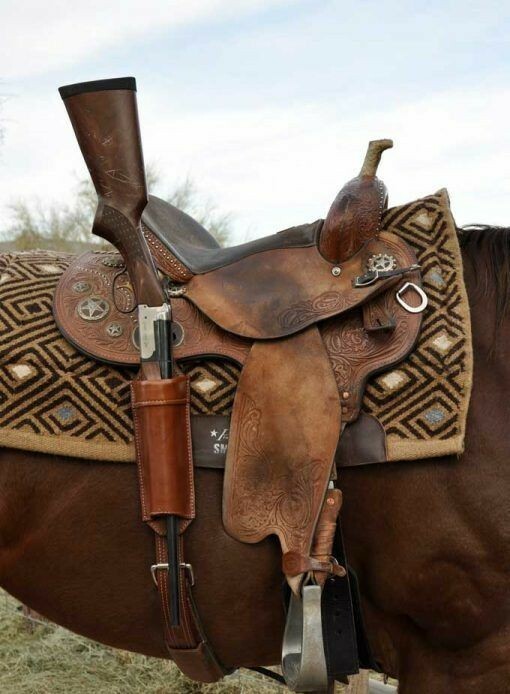 This one would make it kind of hard to swing that right leg over the saddle, wouldn't it? ...to mount or dismount?